Aurimas Adomavicius, president and co-founder of Devbridge, has been named the winner of the EY Entrepreneur of the Year 2018 Award in the Technology / Telecom category of the Midwest program. 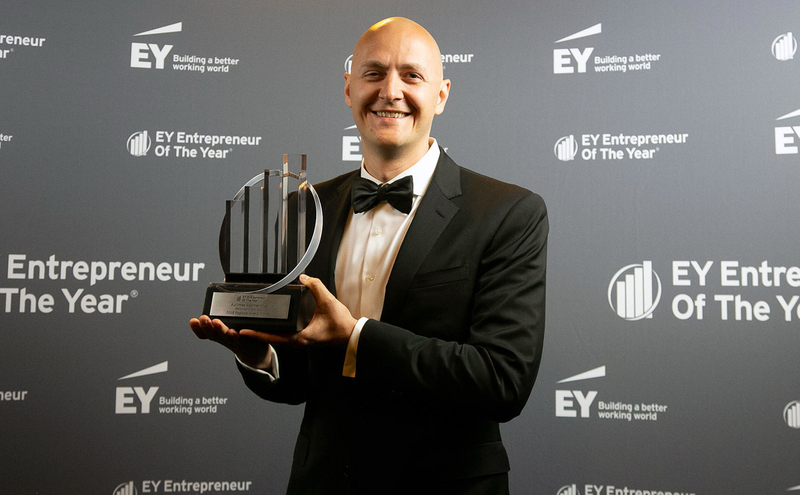 Adomavicius was recognized at the EY Entrepreneur of the Year Midwest Awards gala on June 13 at the Navy Pier Grand Ballroom in Chicago. The award recognizes entrepreneurs who have demonstrated excellence in areas such as innovation, financial performance, and personal commitment to their businesses and communities. You can view more photos from the event on our Flickr page. Here's a write-up in Chicago Business Journal that profiles the Chicago winners: "EY's 2018 Midwest winners include 5 from Chicago"